Welcome to the July 2014 issue of GL's Newsletter providing information and insight into our latest product enhancement - Call Capture & Analysis of SS7 Signaling and Traffic. SS7 signaling / traffic is the backbone of modern telecom networks - providing rapid and intelligent signaling for PSTN, VoIP, and Wireless networks. Primarily used for voice calls, connections are setup quickly and reliably. Higher layers of the SS7 protocol provide intelligent services such as caller ID, number translation (for 800), local number portability, prepaid billing, short message service (SMS), and more. TDM networks carry signaling and traffic in separate dedicated networks (as shown in the above picture). Signaling may occur on one or many trunks (primary, secondary, and redundant links) with the associated traffic on completely different trunks. Also, bearer trunks are likely to be high density spanning many trunks. Any capture and analysis solution must be of sufficient capacity - perhaps tens of T1 E1 trunks or more. GL's Call Capture & Analysis (CCA) has been enhanced to support SS7 and tens of T1 E1 traffic trunks and many SS7 signaling links. CCA can also handle ISDN and CAS. When used in conjunction with Voice Band Analyzer, captured signaling and voice can be used to trouble-shoot customer complaints of voice call quality, voiceband data, fax quality, and tones and dual tone transmission issues. Traffic capture is triggered and initiated by the detection of an IAM message on a signaling link associated with a monitored trunk that has the identifying CIC (Circuit Identification Code). Traffic capture is terminated by the detection of a REL message for the same connection - see below a normal message sequence for a voice connection. 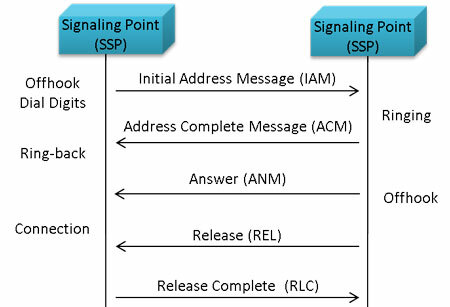 A connection is uniquely defined by Originating Point Code (OPC), Destination Point Code (DPC), and Circuit Identification Code (CIC) carried over single or multiple data links. The SS7 CCA features easy to use screens that provides options to further filter based on a specific called or calling number in the SS7 IAM message. Traffic can be saved in formats including A-law and u-law. 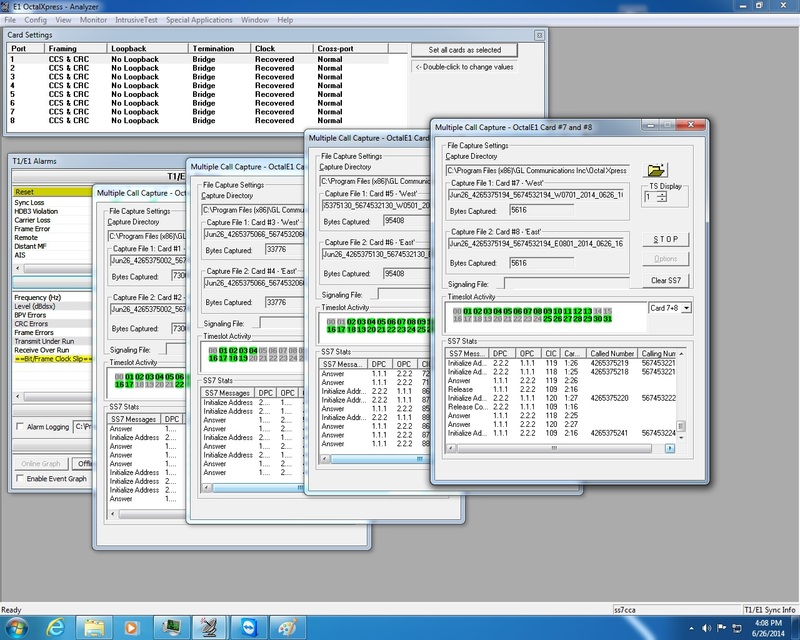 SS7 CCA application includes GUI controls to easily setup each T1 or E1 trunks (4 shown below). Each dialog box displays highlighted timeslots as indications of traffic being captured on that timeslot. For comprehensive information on the application, please refer to Call Capture & Analysis of SS7 Signaling and Bearers web page.